Owner/Manager, Advanced Level ASE Certified Master Technician. Will is an Advanced Level ASE Certified Master Technician. He has over 20 years of experience in the auto repair, service, and maintenance industry. 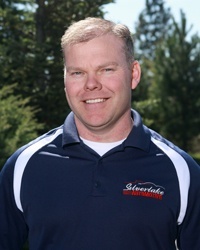 Along with his wife, Rebecka, Will has owned and operated Silverlake Automotive for 8 years. 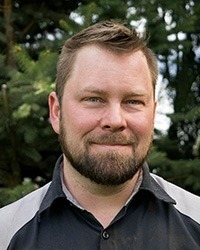 Will is very involved in his local community and church and believes in providing the people of the Coeur d’Alene, Hayden, and the Post Falls area of Kootenai County in North Idaho with high quality, honest, auto repair and service. Will and his wife, Rebecka currently have 2 children. He enjoys spending time with his family, skiing, and running. Will is committed to helping the people of North Idaho get the most value, safety, and convenience out of their automotive investment. Rebecka is the co-owner of Silverlake Automotive. She is also the bookkeeper and secretary-treasurer. Rebecka also specializes in representing the Silverlake Automotive in various community involvement activities and social networking groups. 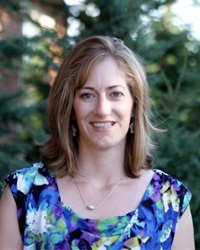 She enjoys camping, spending time with friends and family, and relaxing at the lake. 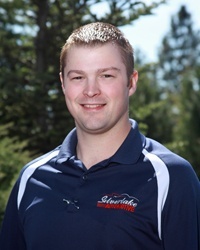 Fred has worked at Silverlake Automotive in Coeur d’Alene since 2008. He is an ASE Certified Service Consultant and is certified in 5 other areas of auto repair. Fred takes a lot of pride in his work and approaches his position of advising customers of their car care needs with a great deal of integrity and character. Fred has 2 children and owns a home in Post Falls, ID. He enjoys spending time with friends and family on the weekends and working on his Trans Am that he drag races during the summer. Sam is an ASE certified technician. He has 9 years of experience in tires, brakes, front end/alignment service, and general automotive repair services. Sam enjoys 4 wheeling in his Kia Sportage and spending time with his friends and family. 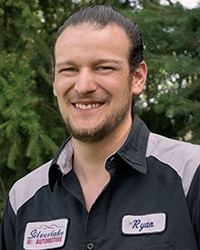 Ryan is an Advanced Level ASE Master Technician with over 10 years experience. He is also factory trained in Volkswagen/Audi service and repair. Prior to living in the Coeur d’Alene area Ryan lived and worked in Southern California. He enjoys skateboarding, snowboarding, and spending time with his family. 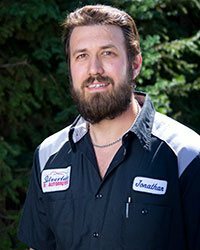 Jonathan has over 20 years of automotive experience. He has acquired the ASE Master Technician and the L1 ASE certification. Jonathan is married, has five children and enjoys spending time with family and tinkering on shop projects.